Your baby has a lot less to cry about with Little Journey: our line of baby essentials for every giggle and grin. 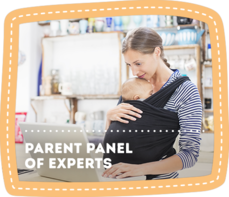 Award-winning diapers, wipes, formula, organic food and snacks are now offered in one convenient location. Like all of our exclusive brands, every Little Journey product is tested to meet our high quality standards, while still costing up to 50%* less every day. See below how we’ll help you along your Little Journey. With comfortable fit, excellent leakage protection and prevention, our award-winning diapers are made to handle every tumble, first step and adventure your baby takes. Paired with our gentle cleansing wipes, we’ve got changing time covered. It’s only the beginning of your Little Journey, but it all starts with smart decisions today. Which is why we make sure all of our pediatrician-recommended powder formula is filled with ingredients that support healthy growth and development for your pride and joy. Whether it’s a full meal or a quick snack, Little Journey has your highchair menu set to satisfy all kinds of grumbling tummies. Made with only the best ingredients and always quality-tested, you can feel good about all of our baby pouches and snacks, even if most of it ends up on their face. *Based upon a price comparison of comparable products sold at leading national competitors.